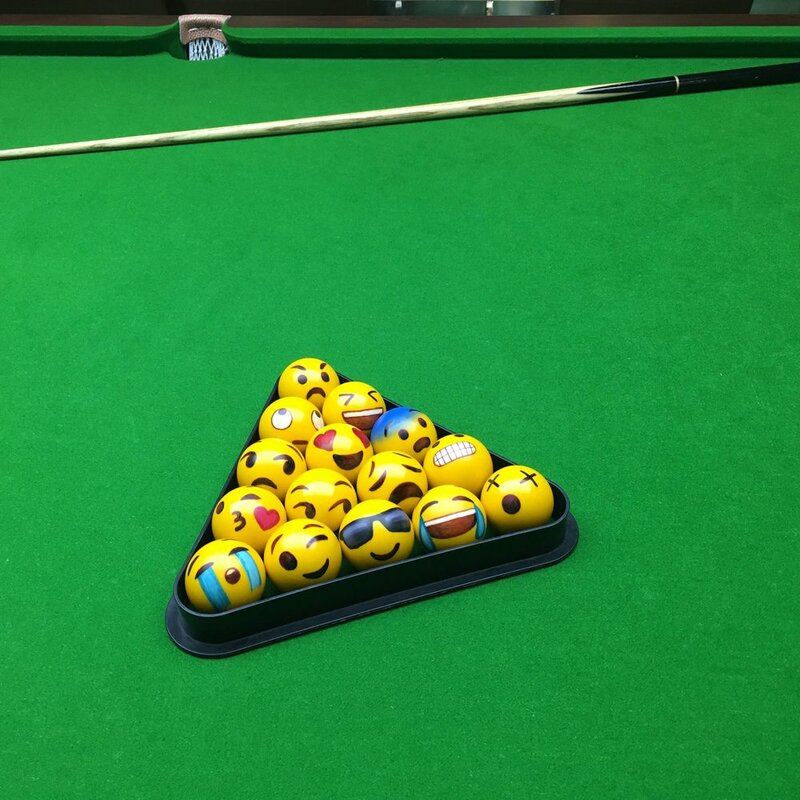 After we received at pool table at the agency, I made made my own pool table set made of emojis with some friends because why not? 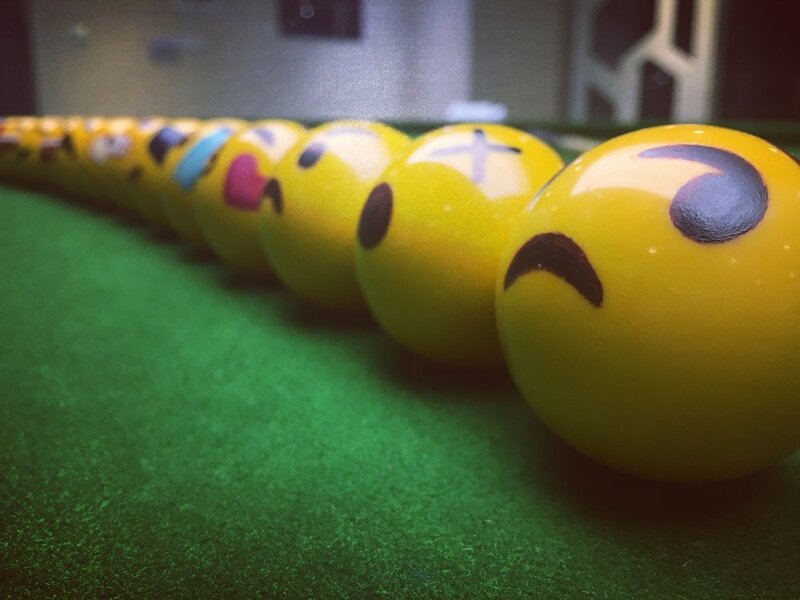 DesignBoom - Emoji-painted billiard balls take on playful personalities in the 'poolmoji' set. Bored Panda - FRONT PAGE - We Made An Emoji Pool Set, Because Why Not? 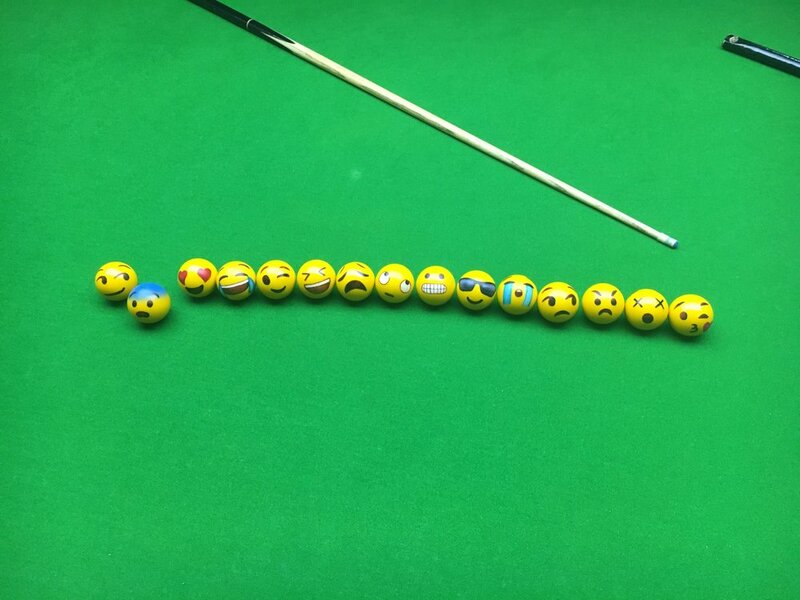 Creapills - Poolmoji: a Pool Ball Set Transformed in Emojis. 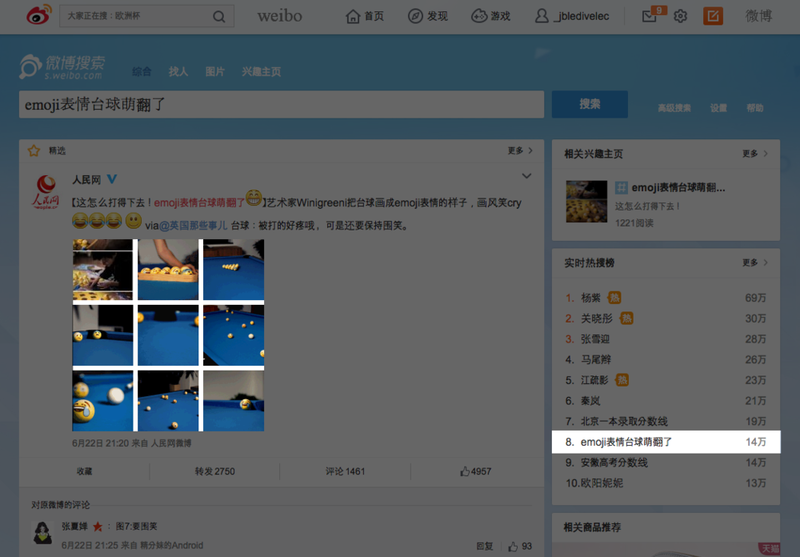 The project went viral in China and got a trending topic! 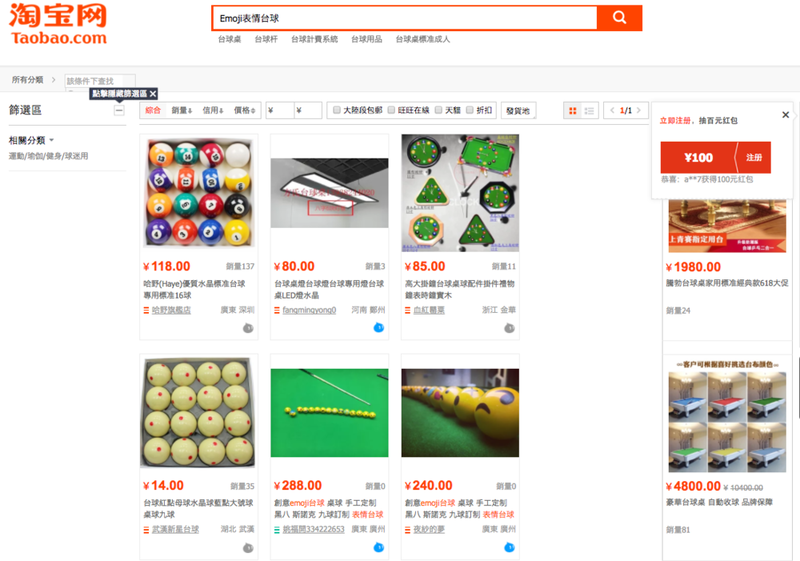 After that it was only a matter of time before some Chinese start copying and selling their own ball sets.